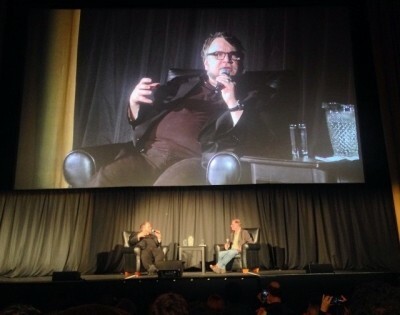 At the San Francisco Film Society, Guillermo del Toro showed up to the Castro Theatre for a screening of one of his favorite films (The Devil’s Backbone) and an in-depth conversation about his past and future work. Well, as you might imagine, someone asked about Silent Hills, which has been going through tough times (as Hideo Kojima is probably leaving Konami soon, thus abandoning the project). Guillermo said, as for his end of the deal: “It’s not gonna happen and that breaks my greasy heart.” That’s not official confirmation of cancelation from Konami but… that’s a pretty solid nail in the coffin. But perhaps the game will continue on without del Toro? Though, to make matters worse, P.T., the playable teaser for Silent Hills, is being removed from the PlayStation Network on April 29th, so if you want it, download it now (or add it to your PSN account via the web store). Sorry Silent Hill fans… I’m not sure this story will have a happy ending.